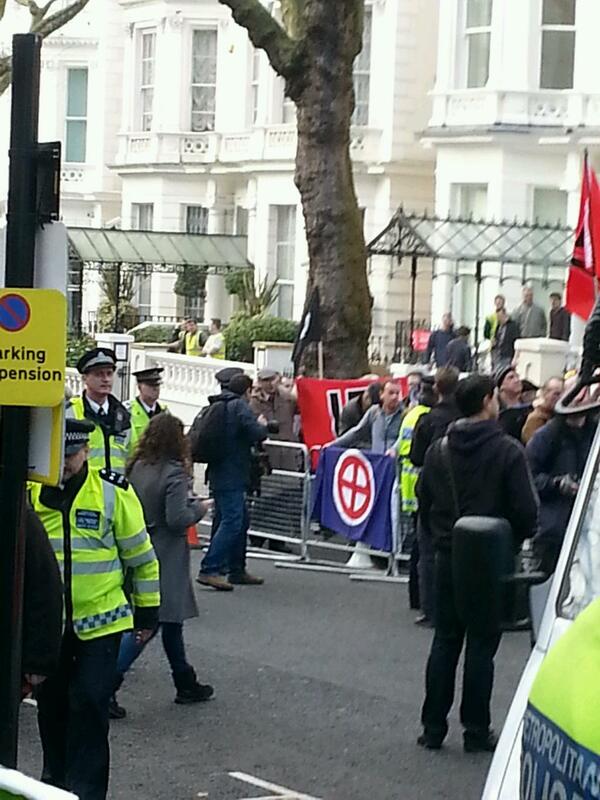 Golden Dawn Fascists in London! 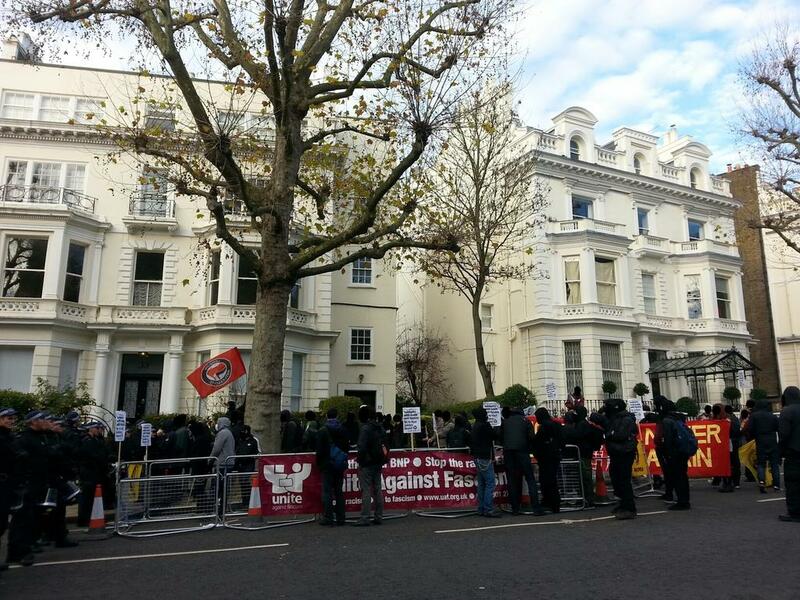 On Saturday, around 30 fascists from several groups including New Dawn (an English Golden Dawn supporters group), NOP England (the ex-pats division of a notorious Polish neo-nazi group) and a few others held a demo in front of the Greek Embassy in London, supposedly in support of jailed members of GD. 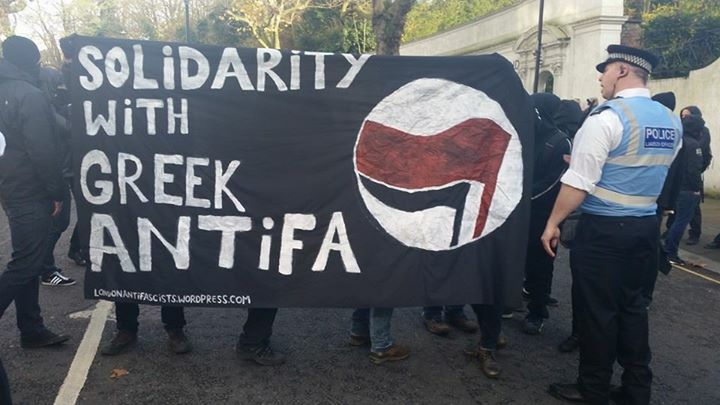 Of course, Antifascists were out in force to oppose them, with a demo called by Antifascist Action for Greece (AAfG) and UAF, alongside London Antifascists, London Black Revs, Dywizjon 161, Brighton Antifascists and other autonomous groups. 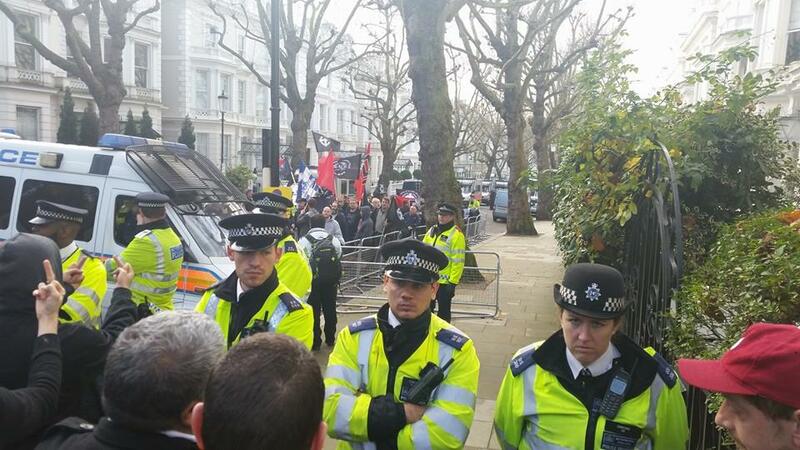 At the very start, around 25 militant antifascists mobbed up and surrounded Holland Park tube, where the fascists were supposed to gather. 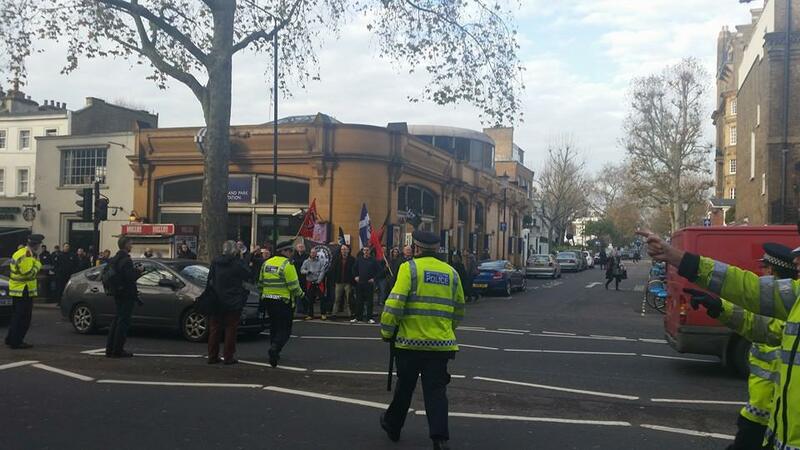 After some scuffling with police, the antifascists moved slightly further up the road, only to advance again as soon as the rag-tag group of fascists appeared. Despite a lot of macho posturing, the fascists were content to hide behind, then be led away by, the small amount of police present. 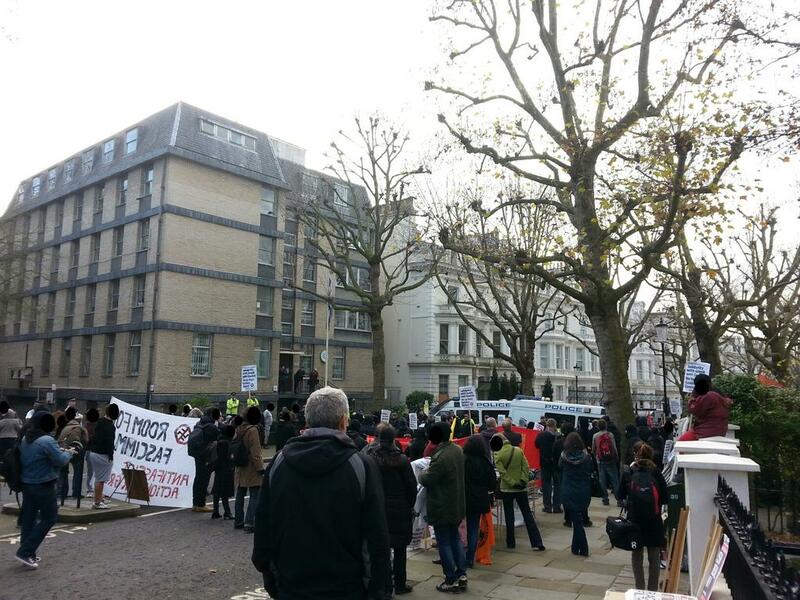 Antifascists quickly moved round to the embassy itself, and blocked the road, leading to a stand off with some riot police, who moved vans into place between the two demos. 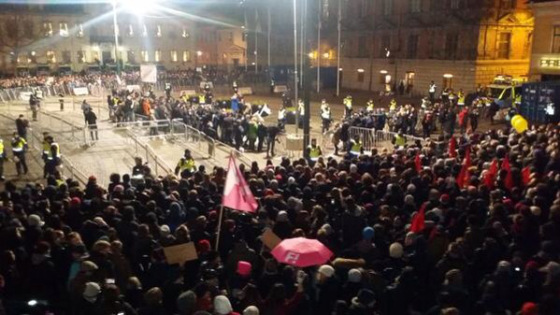 The fascists attempted to hold their rally, but no-one could hear a word they were saying over the heckles and jeers of antifascists. 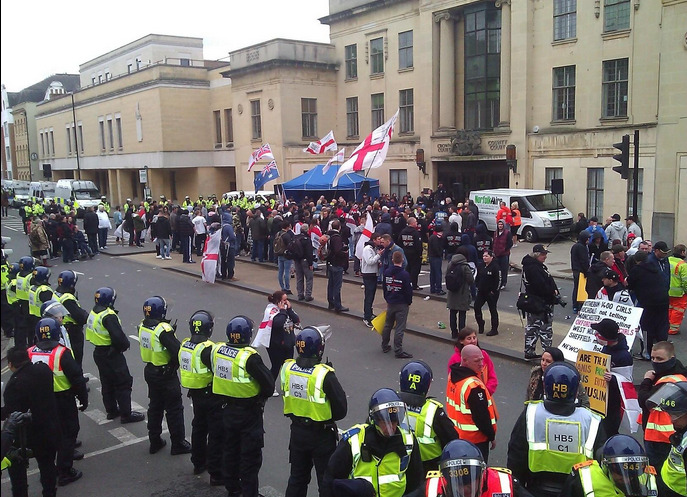 By this point the Golden Dawn lovers where considerably outnumbered by a rowdy crowd of around 70 antifascists. As soon as their speeches finished, they slunk off, tails between their legs. 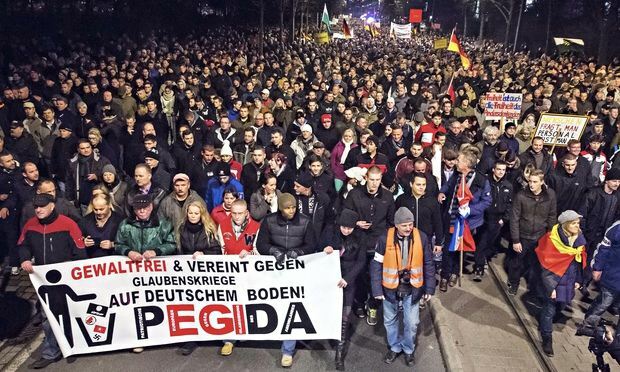 Victory to the antifascists! 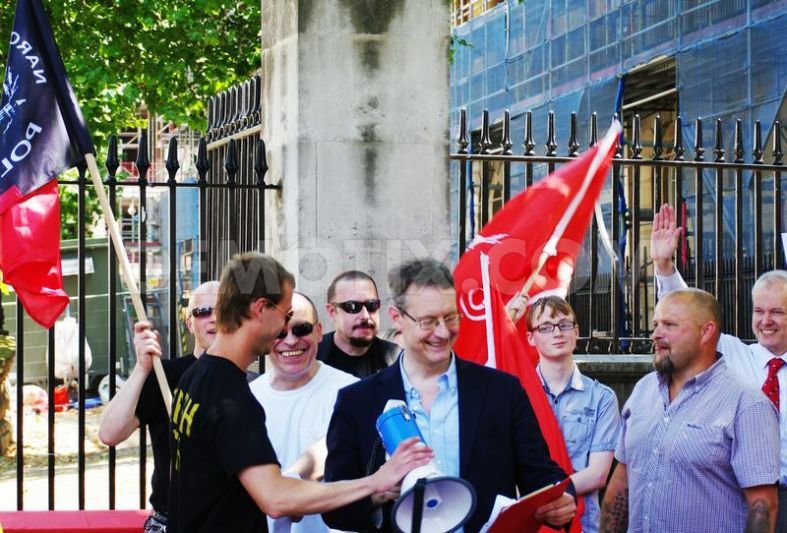 Meanwhile, this hilariously pathetic group, including Ex BNP babyface Kevin Layzell held the fascist pen. 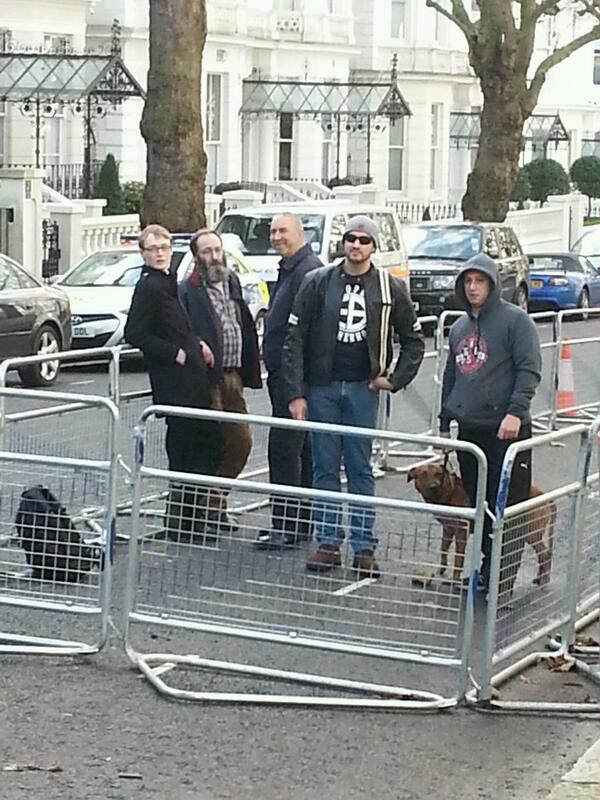 The Pathetic group of fascists gather outside the tube station. 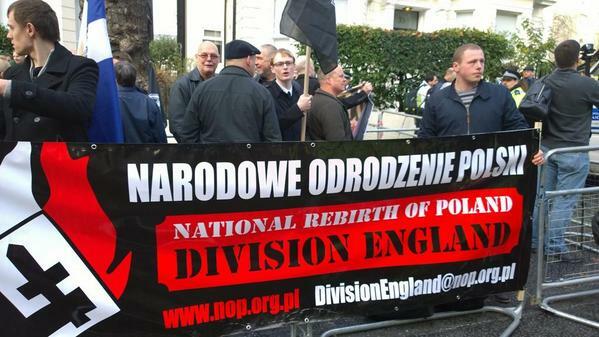 NOP England, Polish ex-pat fascists who apparently don’t understand irony. 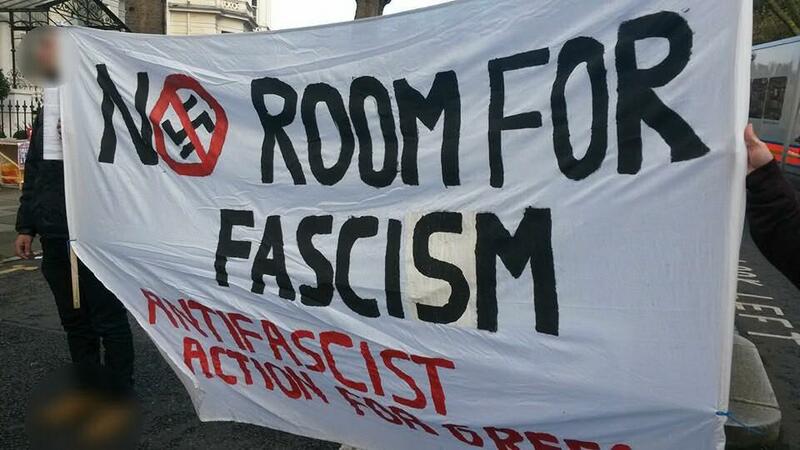 Honourable mention also goes to Lyon, which was a scene of a massive, militant antifascist demonstration this weekend, protesting against the far-right Front National conference being held in the traditionally left-wing city.